We’ve been hearing reports for the past few months now that Samsung is going to launch the Galaxy J5 (2017) in the near future. The company hasn’t made an official announcement yet but the device has already been spotted at the FCC and Wi-Fi Alliance which suggests that a release is not that far off. 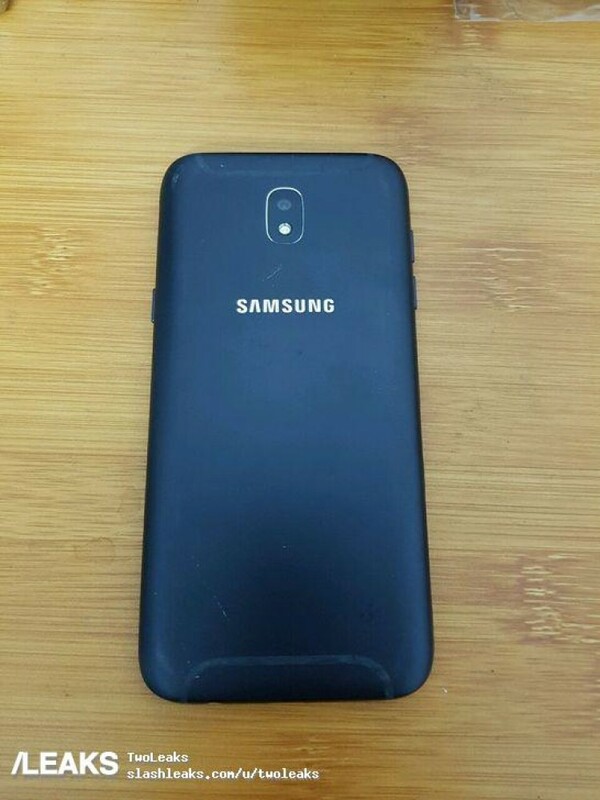 Not much is known about the Galaxy J5 (2017) at this point in time, it’s believed to be bearing model number SM-J530 and running Android 6.0 Marshmallow, at least if the Wi-Fi certification from a couple of months back is true. The latest benchmark results of the Galaxy J5 (2017) show that the device will indeed be running Android 7.0 Nougat when it arrives. 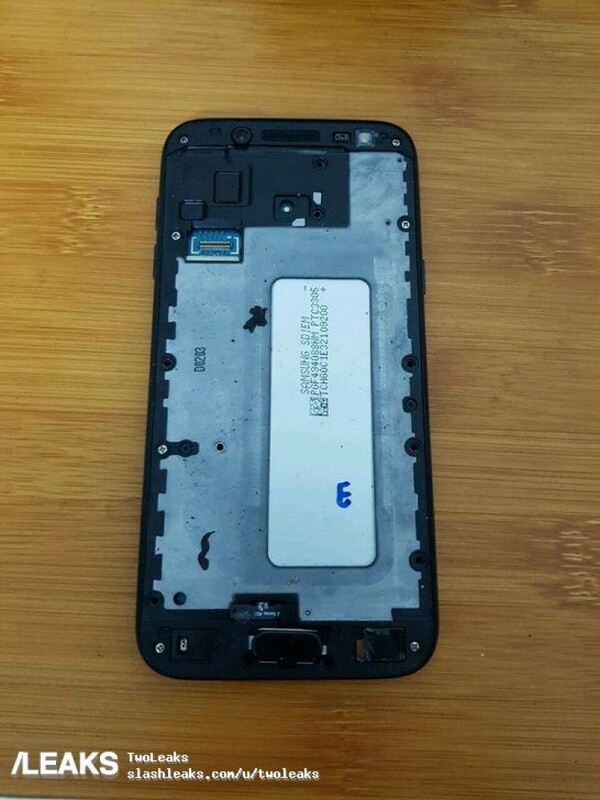 A couple of leaked pictures of the Galaxy J5 (2017) have surfaced online giving us a glimpse of Samsung’s next mid-range Android smartphone. The images don’t reveal much as far as the design is concerned but it’s not like Samsung is going to push the envelope on design for its mid-range handsets. Samsung hasn’t confirmed as yet when it’s planning to launch the Galaxy J5 (2017). Given that this week is going to be all about the Galaxy S8 as it’s due for release on April 21, I can imagine it’ll be a few weeks before Samsung makes this handset official. Since both the J5 and J5 2016 has Snapdragon 410, i think J5 2017 will have Snapdragon 430 or an equivalent Exynos chipset and 720p display. Some sites say it will have a 4.8 inch display. 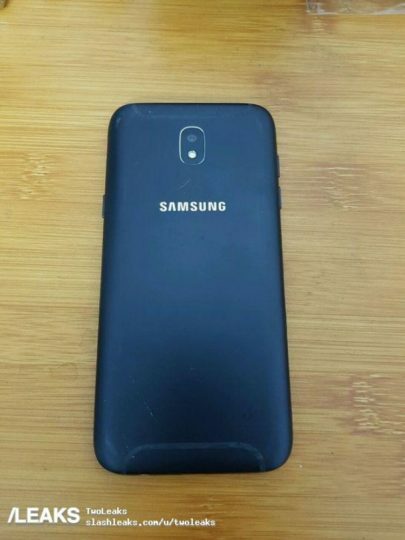 It looks like the prototype S8 with the dual cameras. This could be the new camera design for future samsung devices. This is a single camera with a single LED flash. But yes it looks similar to the S8 prototype that you’ve mentioned (at least on the back side).